(Stafford Springs, CT)—The biggest paying SK Modified® race in the country, the NAPA Auto Parts SK 5K, continues to grow. John Rufrano of Wheelers Automotive has signed on to add bonus money to the top-4 finishers in each of the qualifying races for the Friday, July 7th event. A total of $2,000 will be up for grabs as a qualifying race bonus. Spread across four heat races the top-4 finishers will receive a bonus, 1st – $200, 2nd – $125, 3rd – $100, and 4th $75. Rufrano, car owner of current SK Modified point leader and 2010 NASCAR Division 1 National Champion, “The Kid” Keith Rocco, returns for his 3rd season posting qualifying race bonus money for the NAPA Auto Parts SK 5K. For the 2017 season Rufrano has increased the bonus from $1,500 to $2,000 spread across 4 heat races. Combined with the guaranteed purse of $27,100, an estimated $5,000 bonus from the Gambler’s Challenge presented by Dunleavy Truck and Trailer Repair, and weekly contingency bonuses of $500, the addition of the qualifying race money brings the total estimated purse to $34,600. 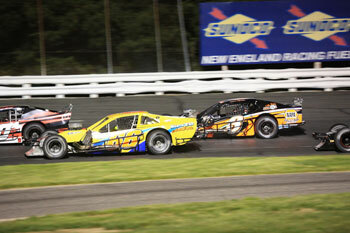 The stacked SK Modified® field is one of the deepest in the country. Of the 40 drivers who have competed in an SK Modified® race thus far in 2017, 17 have scored SK Modified® feature wins at Stafford in their career. Through 6 events in 2017, 4 different drivers have won features, including 3 SK Light graduates. The big story in the division is who has yet to score a win, 2015 & 2016 track champion Rowan Pennink as well as the current point leader Keith Rocco. 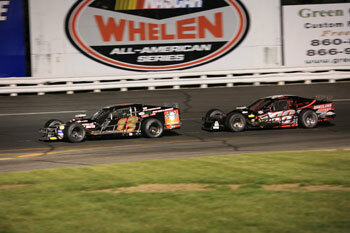 Both are expected to be contender in the July 7th NAPA Auto Parts SK 5K. Join us Friday, July 7th for the 4th annual NAPA Auto Parts SK 5K. The $5,000 to win and over $30,000 in posted awards for the 100-lap big money race will be an event not to miss. Discount tickets for the NAPA SK 5k are available at participating NAPA Auto Parts stores. For a full list of the 71 participating locations throughout Connecticut, Massachusetts, New York, Rhode Island, and Vermont, please call the speedway office or visit us on the web at www.staffordmotorspeedway.com/participating-napa-auto-parts-stores. Tickets for the NAPA SK 5K are available and on sale now at the Speedway Box Office. Tickets are priced at $30.00 for adult general admission tickets, $5.00 for kids ages 6-14, and kids 5 and under are admitted free of charge when accompanied by an adult. Reserved seating is priced at $32.00 for all ages. All ticket prices include 10% CT Admission Tax. Stafford Speedway offers free parking with free overnight parking for self-contained RV’s available. There will also be a barbeque taking place on the midway with some great food available to race fans for only $10. For more information on the July 7th NAPA SK 5K, or to order tickets, contact the Stafford Motor Speedway track office at 860-684-2783 or visit us on the web at www.staffordspeedway.com.